What can interior painting in Gilbert, AZ do for your home? If you are looking for a way to change up the appearance of your home, you might be wondering what kind of options are out there in that regard. 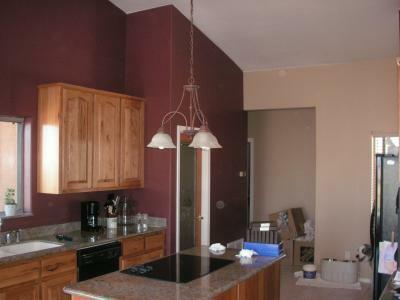 One thing to consider is interior painting in Gilbert, AZ. When you paint the inside of your home you are able to completely change the style and look of the place. If you want to make things new and have a fresh start in your home, painting can do the trick. When you decide to paint the interior of your home you are able to choose the colors that you would like your home to be filled with. If you want bright colors in your home then you can have bright colors. If you want neutral colors in your home you can have neutral colors. The paint color choices are up to you, and we are here to help you out whenever you have made your decision in regard to the color that you are going to be using. When you paint the inside of your home you are given the chance to completely change the look of the place. After we accomplish your paint job for you in the best way, then you will be left with the opportunity to decorate the place in any way. You have a fresh canvas for any decorating that you want to do. Your newly painted walls are ready for photos, artwork, or whatever you choose to hang on them. Painting a home changes the appearance of the home, freshens things up, and allows you to change up the style of the place. We are here to handle all of your painting for you.